Thanks to the integration of Microsoft Translator, SwiftKey can now be used to perform real-time translation for more than 60 languages. Even more, those who install the Microsoft Translator app can also enjoy offline translation capabilities for SwiftKey — for example, when writing emails without being connected to the web. Although Microsoft should listen more carefully to the users of its SwiftKey virtual keyboard app — who have been asking for a chance to disable Gestures and Flow input for months — this product remains one of the best in its category. The introduction of real-time translation via Microsoft Translator makes it even better, even though some are already saying that using Google Translate would have been better. Using Microsoft Translator in SwiftKey is very easy. 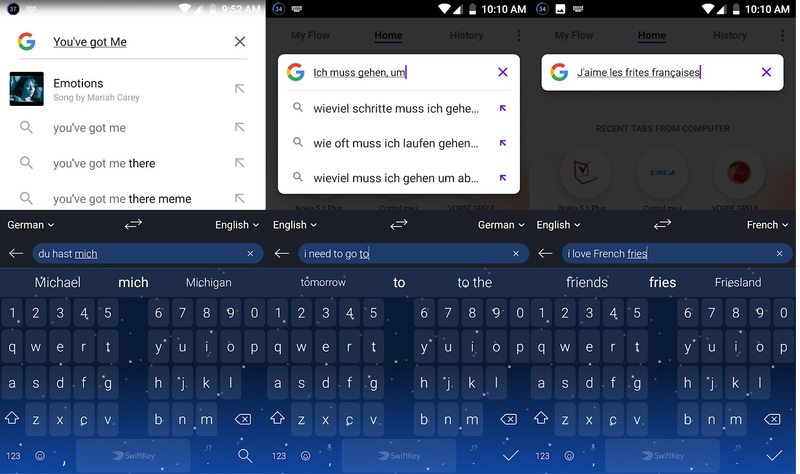 All the user needs to do is to tap the Microsoft Translator icon on the SwiftKey keyboard, and then the app begins translating in real time as they type, as well as incoming messages. However, the incoming messages need to be copied in the SwiftKey input field to be translated, but the good thing is that no other app is needed. In addition to the capabilities mentioned above, SwiftKey can be used to translate text while being offline as well. In this case, the user needs to have the Microsoft Translator app installed. Thanks to the integration of Microsoft Translator, SwiftKey can be used to translate over 60 languages. The requirements and current version vary with the device, but most Android users should be able to run this app without breaking a sweat. In my case — Android 8.1 Oreo on a Xiaomi Mi A1 — the most recent SwiftKey version is 7.1.4.19, updated on September 24. On the other hand, the Google Play page of the product claims that the most recent update arrived on September 27, so if you are one of those running a post-7.1.4.19 version, I would be grateful if you would like to drop a comment to let me know about it.